One of the largest ophthalmology and refractive practices in the D.C. area. 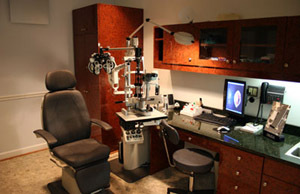 Since 1989 The Eye Center has been on the forefront of vision correction procedures. Dr. Boutros and The Eye Center are two names that have come to define a standard of excellence in vision correction. Dr. Boutros has spent the last 30 years refining the vision correction process. When you have iLASIK at The Eye Center, your treatment is based on specific measurements that are taken during your extensive, dilated, pre-operative examination. iLASIK introduces a new level of accuracy to the vision correction procedure. Visit the Testimonials page to see what some of our patients are saying about the iLASIK procedure and our eye care services.